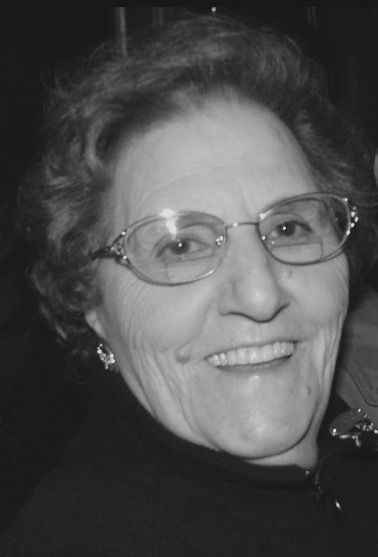 Rose E. Tedeschi, 88, of Steubenville, died Sunday, November 25, 2018, surrounded by her children, at the Vincentian Home in Pittsburgh, PA. She was born April 25, 1930, in Hanlin Station, PA. She is the daughter of the late Michele and Liberata Goffoli DiBacco. Also preceding her in death are her husband, Dominic A. Tedeschi, Sr.; four brothers Louis, John, Sam and Tony DiBacco; eight sisters Mary Recinella, Amelia Pascarella, Angeline Swartz, Edna Halulko, Grace Radacsy, Josephine Angelo, Agnes Greco, Norma Rogers and one granddaughter, Kimberly Tedeschi. Rose was a member of Holy Family Catholic Church, its CWC and St. Francis Society. She was also a member of the Women's Auxiliary of the American Legion Argonne Post 33. Rose will be remembered first and foremost for the love she had for family, the loyalty to her friends, and her unyielding faith. She also loved cooking, bingo, sitting on her front porch, growing beautiful flowers and praying the rosary. Rose had the unique gift of making everyone around her feel special. Surviving are four sons Dominic (Jean) Tedeschi Jr., Frank Tedeschi both of Egg Harbor Twp., NJ ; Joseph Tedeschi of Steubenville, Richard Tedeschi of McKees Rocks, PA; one daughter Regina (Brian) Lewis of Dublin, OH; one brother Michael DiBacco of Weirton; three grandchildren Antonio (Lynn) Tedeschi, Nicholas Tedeschi and Dominic Lewis; two great grandchildren Antonio and Gabriella Tedeschi; Many nieces and nephews and her earthly angels, care givers, Donna and Margie. Calling hours will be Friday from 2-4 and 6-8 pm at the Mosti Funeral Home, Sunset Chapel, 4435 Sunset Blvd., Steubenville. A funeral liturgy with Mass will be celebrated Saturday at Noon at Holy Family Catholic Church, Msgr. Gerald Calovini will celebrate. Burial will follow in Mt. Calvary Cemetery. A vigil service will be held Friday at 3:45 pm. Memorial donations may be made to the Alzheimer Association, 225 N. Michigan Ave., Fl. 17, Chicago, IL 60601 or the Kidney Foundation, Finance Department 30, East 33rd St., New York, NY 10016.